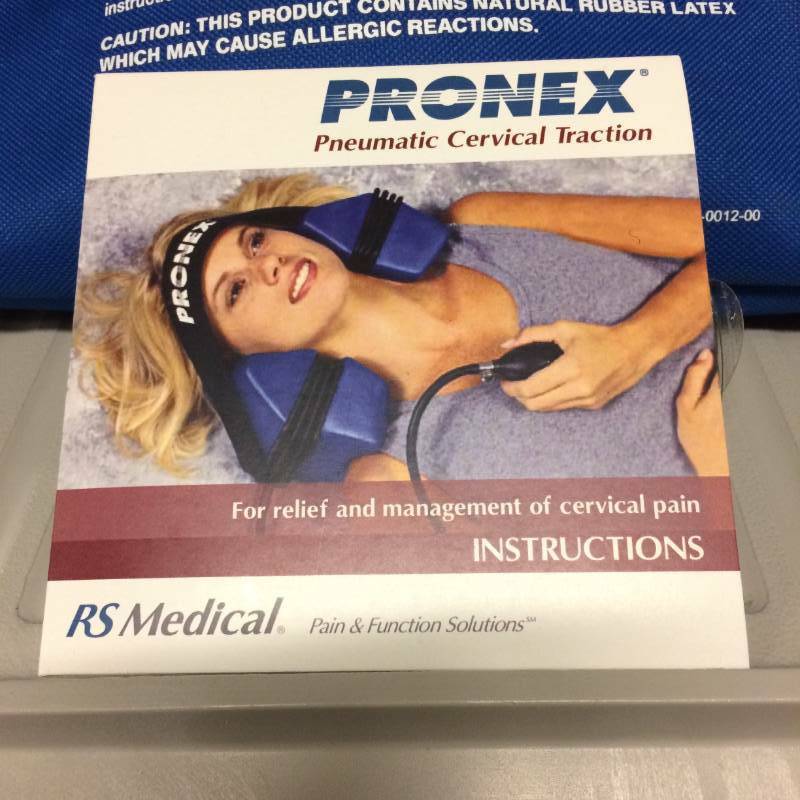 Pronex Pneumatic Cervical Traction Device System - Supports Normal Curvature Of Cervical Spine Helping Break Chronic Pain Cycle - Like New Condition! 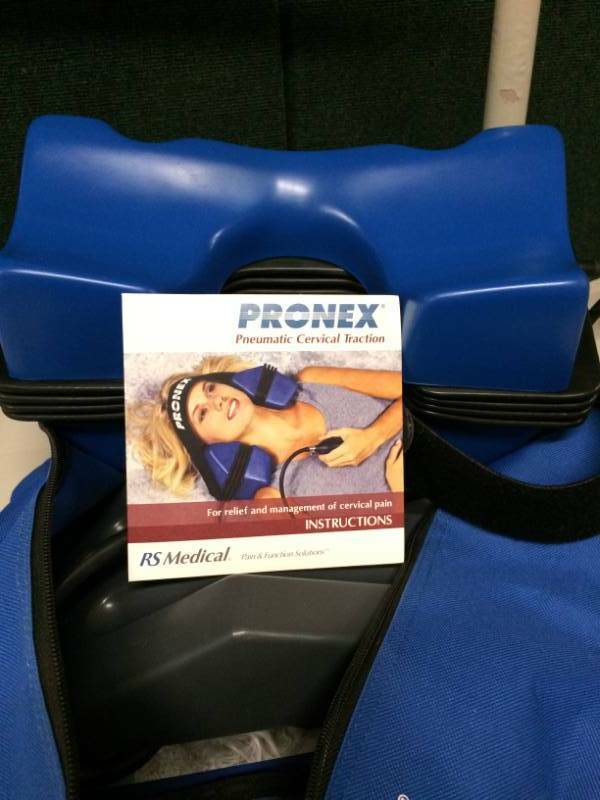 The Pronex Cervical Traction has a unique design that provides anatomically correct traction supports the natural curve of the cervical spine and provides an even distraction in the anterior and posterior cervical discs. It does not aggravate the temporomandibular joint. It's User friendly and without restraints. Portable, comfortable and convenient. No assembly, no weights, no cables, no springs or levers. It's restraint free. 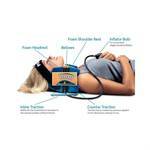 Encourages regular use by the patient at home, helping to break the chronic pain cycle. How Pronex? and Pronex? II work Pronex? 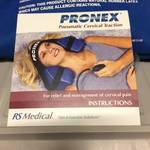 cradles the reclining patient's head and neck on two soft foam cushions. One cushion supports the occiput and the other rests against the upper trapezius. An air-inflated bellows between them is capable of providing up to 35 lbs of continuously adjustable traction. 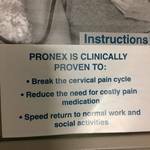 Pronex? 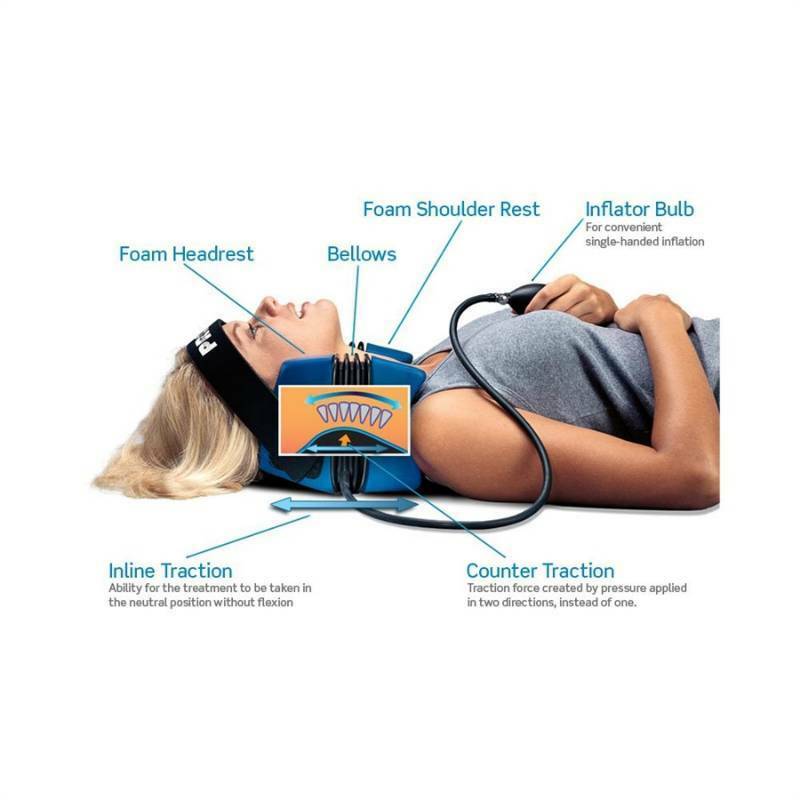 II cradles the reclining patients head and neck on one soft foam cushion that supports the occiput. An air-inflated bellows rests against the upper trapezius. As the bellows expands one the Pronex? and Pronex? II , it lifts the head upward supporting the cervical curve and maintaining an even distraction in the anterior and posterior cervical discs. Patients have total control over the amount of traction applied. Squeezing an inflator bulb increases the pressure, a release knob gently reduces it. There's no strain on the temporomandibular joint. 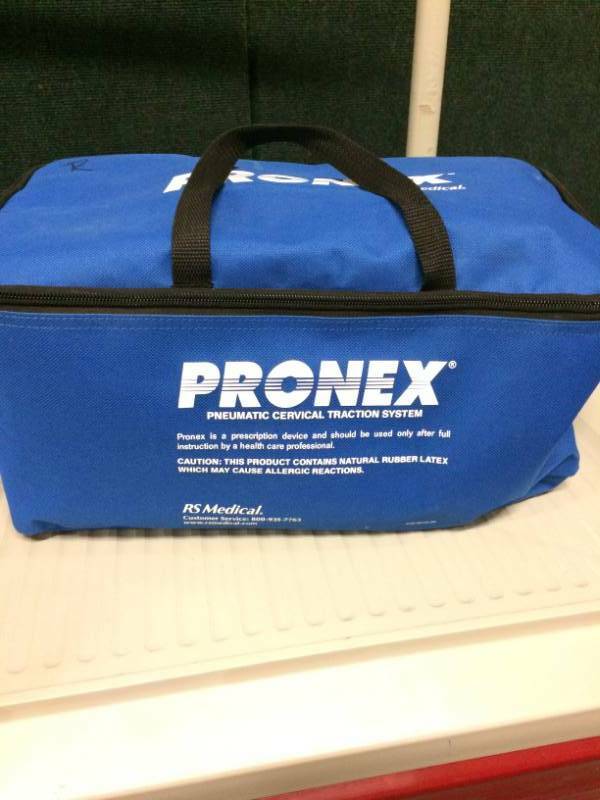 The Pronex? II was designed for people with shorter necks and for those who experience severe pain in their shoulders. Pays for Itself Reduces pharmacy bills, minimizes lost workdays, and often eliminates the need for ongoing office visits and physical therapy. 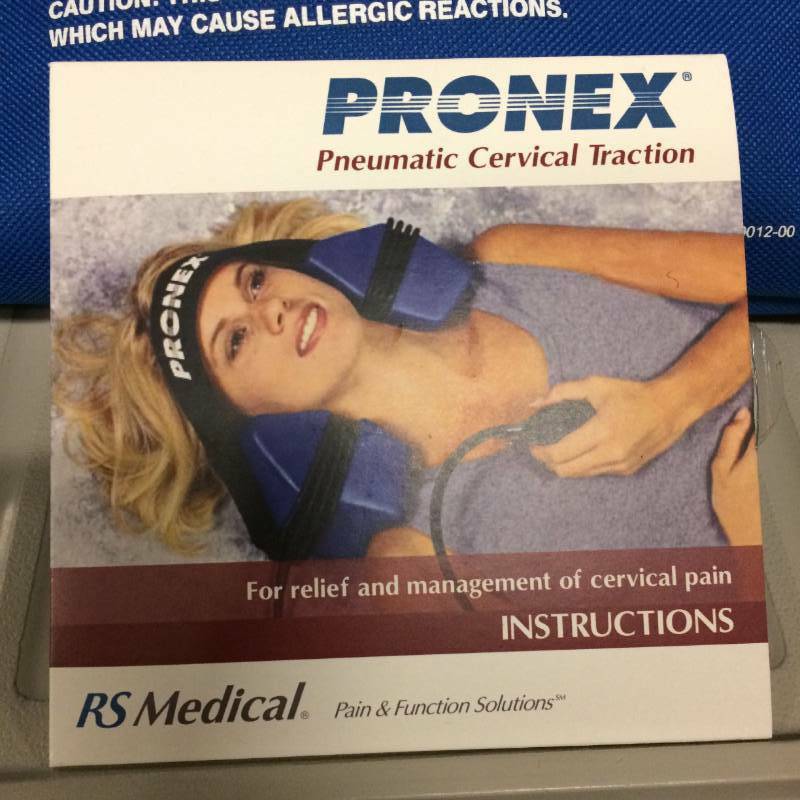 Patient manages pain control at home. 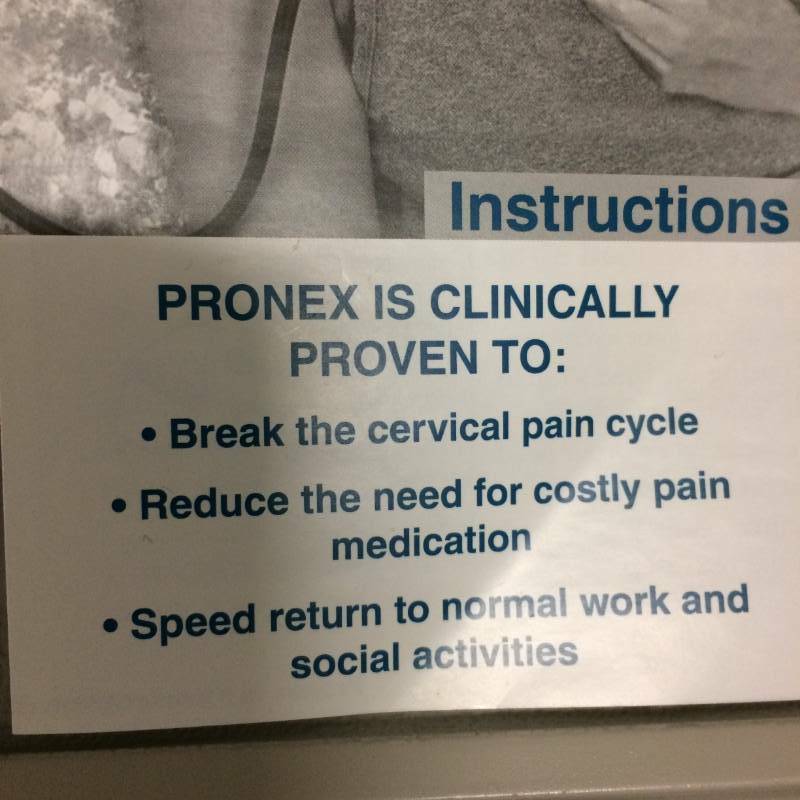 Pronex? is the only traction device that creates an even distraction in the anterior and posterior cervical discs while supporting the cervical curve. Notice: This product contains latex materials.